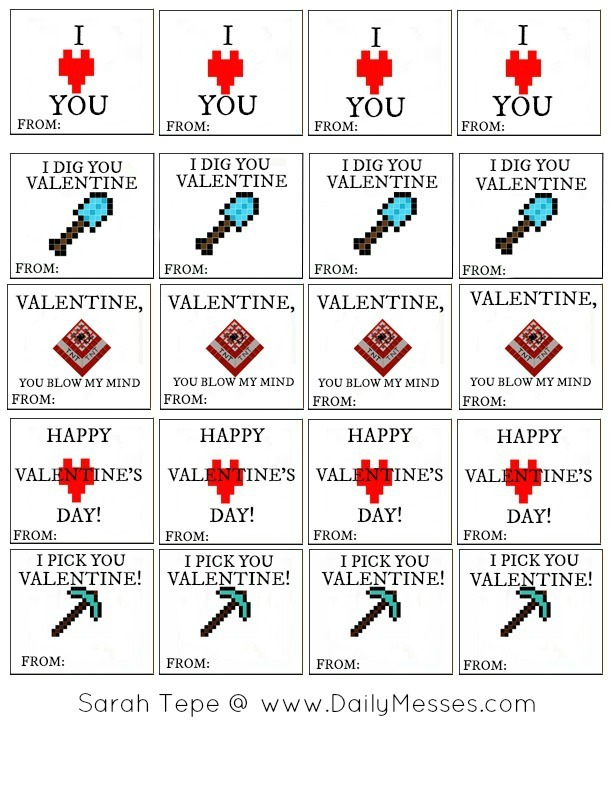 I know Valentine's Day is still a little bit away, but I wanted to post these a little early since there is some assembly required. The boys and I were talking about Valentine's Day and what kind of cards they wanted to bring into school this year. 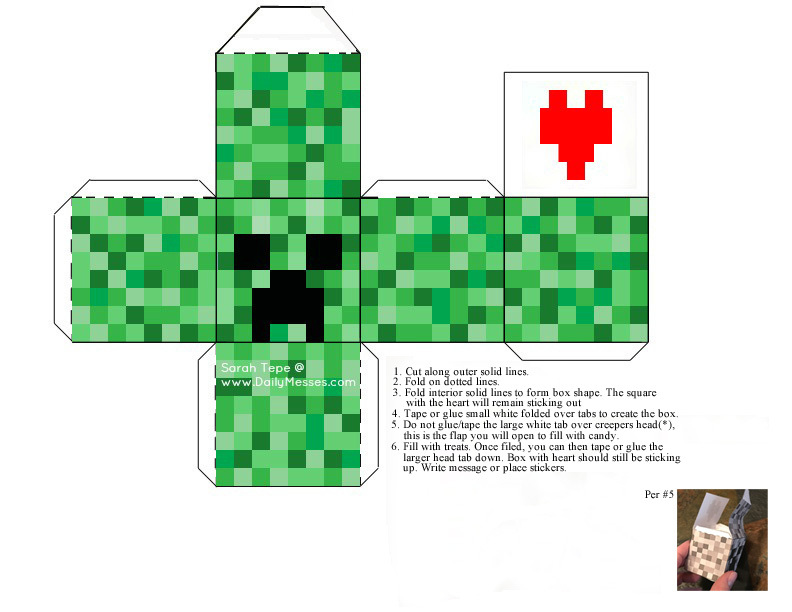 Bernardo originally picked zombies and later changed to a sports theme, while Higgins wanted Minecraft. 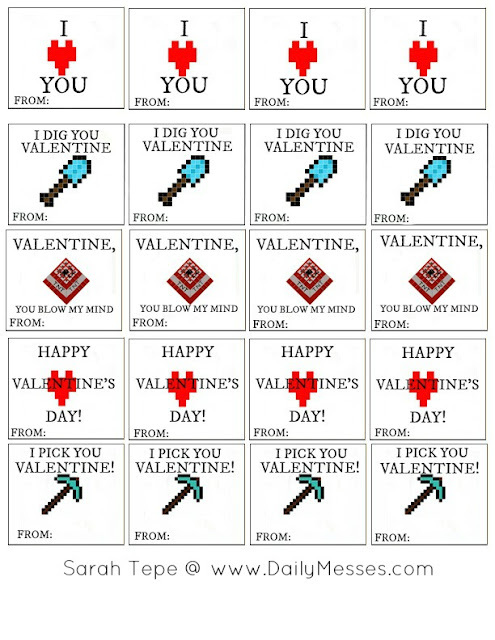 I managed to find all different kinds of Valentines online and in the stores, but no Minecraft. Then Christmas popped in my head; our Elf made a Minecraft scene this year. 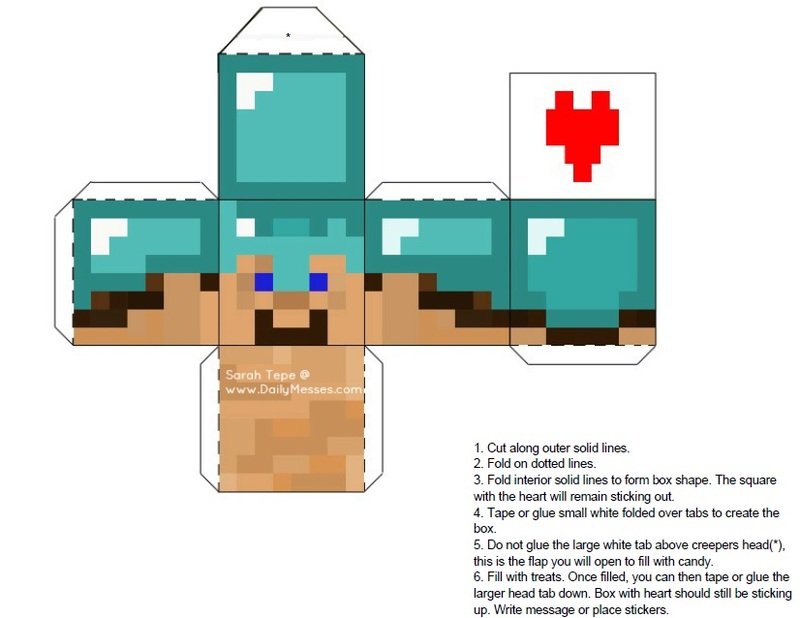 With a little bit of tweaking and a sticker to add on later, I think we're going to make Minecraft Steve and Zombie head boxes and fill with little candies (like Hershey Kisses, Mini Tootsie Rolls, or Starbursts). To Print: Right click on image, choose Save As/Save to Computer. Find image and click Print. You can also right click and choose Open In New Tab or Window and print that way.